Back For Seconds: Chocolate Covered Strawberry Cookies and Some News! 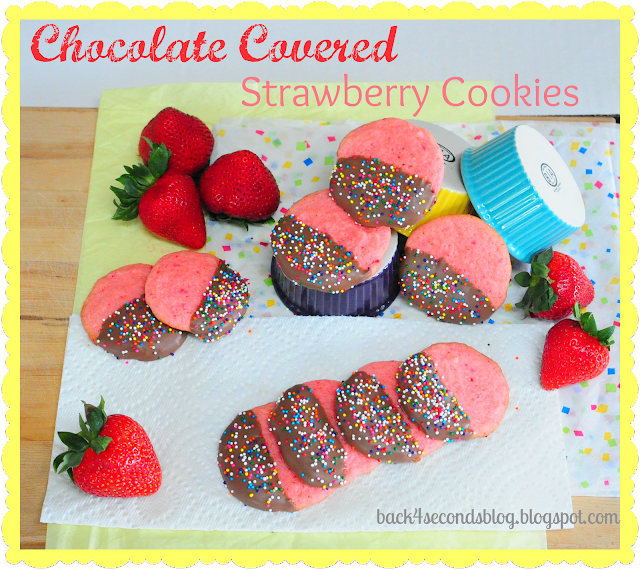 Chocolate Covered Strawberry Cookies and Some News! Before we get to the sweets today, I have some fun news to share with you! On Wednesday this week I am kicking off my very first link party!! I am really excited about it albeit a little scared that no one will link up, haha! Please don't let that happen, I will cry! So mark your calendars and tell your friends, it's gonna be swell :) Now onto the sugar! And I just keep buying more. I can't help myself. And I'm ok with that. In a large bowl mix together cake mix, butter, and the egg. Scoop onto an ungreased baking sheet and bake for about 7 minutes. Do not over bake! (These cookies don't spread much - I flattened them a bit before baking.) Let cool on wire racks. When cool, melt chocolate in a small bowl and dip half of each cookie into the chocolate. Sprinkle immediately. Store in an airtight container. Thanks for stopping by and remember to come back Wednesday to party with me at the Back For Seconds Social!! Those look so yummy! And pretty easy to make! They almost look too pretty to eat...ALMOST! The recipe seems every easy as well. I going to give these a try! Thanks for sharing! Good luck on the linky party!! Yum, these look amazing! Just found you via the GFC hop....can't wait to read more! I'll be back on Wednesday for your link-up! Cake mixes are just dangerous. There's too much that can be created with them. Those looks so fun, my daughter will love them! I'll try to join your hop, sounds fun!! I found you through GFC Online friends hop, glad to be a new follower! Yep, we are totally on the same wavelength! Chocolate and strawberries go hand in hand! 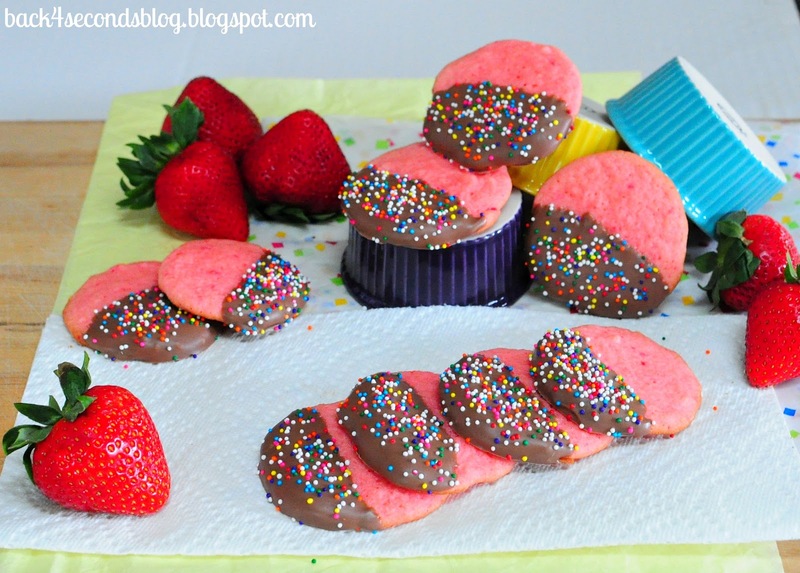 Love the use of strawb cake mix here! Can't wait for your 1st linky party my dear!! I love cookies made from cake mix!! They are my all time favorite way to make cookies! I started my very first link party today too!! So exciting! I'll for sure be back on Wednesday! & I'd love to have you come link up to Mom's Test Meal Mondays! I am a total girlie-girl, too, so these are right up my alley! Love 'em! Can't wait for your party Wednesday! Eek I don't think my comment went through! I am girlie too, so these are perfect for me! Looking forward to your party! I am so excited for you! Starting a new linky party is a big scary... and takes a lot of promotion! I will be there on Wednesday! Thanks for your great sweet treat! I am delighted to make anything sweet using a box! So nice of you to join ON THE MENU MONDAY! See you Wednesday! I found you on The Things We Find Inside's blog hop and I'm so glad I did. I knew you were a blog to follow just by the yummy things in your header. Can't wait. Anything pink, covered in chocolate and sprinkles is winner in my girly-girl household!!! This is a keeper! Excited to join the social!! Those cookies are so cute and look so good! Come say hello over at nichollvincent.blogspot.com and have a great day! saying hi from the blog hop! I'm going to try these with an Orange cake mix instead of strawberry...cause the only thing I like better than strawberry and chocolate is orange and dark chocolate! My daughter would love these. She's a girly girl too! Very cute cookies! Mmmm...I'm a sucker for sprinkles and strawberry cake mix! I love the color and nostalgia packed in to these adorable cookies! This looks just fantastic. Great picture. I cannot wait to try our recipe. Come over and visit us. We would love to have you. 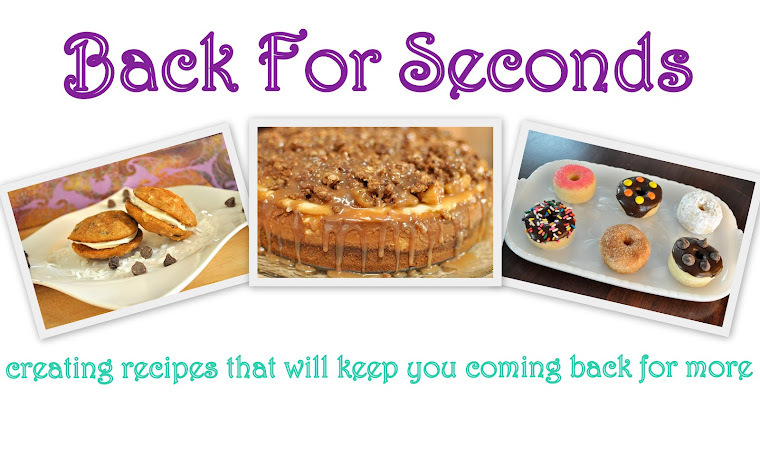 These look really yummy and fairly simple to make too. I'll have to have a go. Yummy for the second time! Thank you so much for your faithful support of my linkies! Love these, I've just recently discovered Cake mix Cookies but with chocolate on them, oh yes! Thanks for sharing and I'll definitely be back on Wednesday. I've added you to my party page. Lovely berry dish. Berries and currants are this week's subject for Food on Friday. Would you be happy to link this in? We are looking to create a fantastic collection of berry dishes. This is the link . I found you in the Chef in Training party. A whole new take on chocolate dipped strawberries! What fun cookies. Thanks so much for sharing at this week's party! 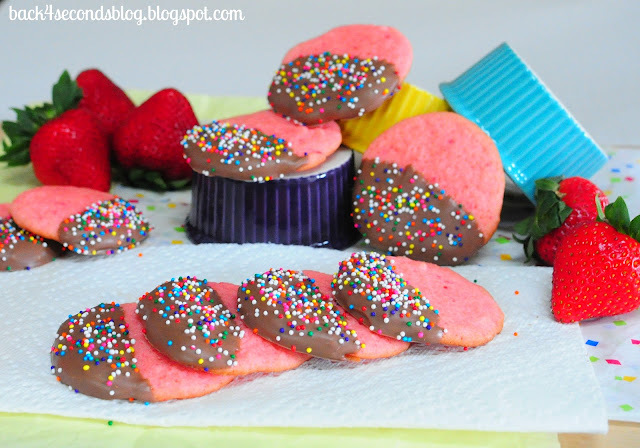 Definitely a girly cookie and party worthy! Thanks so much for sharing on Busy Monday! Oh.. yum! And you made them with a cake mix? How fun!